As a parent, your concern for your child’s eye health exceeds that of your own. Blocked tear ducts is a surprisingly common issues with newborns, with over 1 in 20 suffering from it. As you may surmise, this is a condition that requires timely diagnosis and treatment. Here at the ophthalmology practice of Christianne Schoedel, M.D., you can depend on the expertise and experience you want for your child. Everyone’s eyes produce fluid, which then circulates, and drains back out. It’s a perfectly natural process, keeping the eyes maintained and clean with the proper amount of moisture. There is good news and bad news when it comes to blocked tear ducts. The bad news, of course, is that your baby is experiencing discomfort, along with the possibility of swelling and infection from the fluid buildup that is caused by the blockage. The good news is that the matter may resolve without the need for treatment at all by our children’s optometrist in Hershey, and if action must be taken, it can often be done in a manner that is non-invasive. Furthermore, there is no serious danger to your child’s ocular wellness. If an infection is detected, antibiotics will be prescribed to treat it. The majority of the time, the ducts will eventually open up on their own. 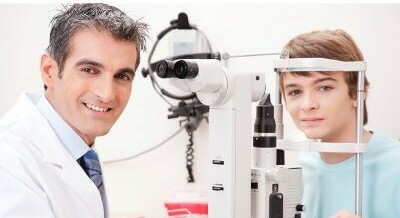 If not, our children’s optometrist in Hershey can probe gently to move it along more quickly. Though surgery cannot be ruled out entirely, it is rarely required. It is only if your child’s tear ducts do not open up and cannot be made to that surgery becomes a possibility. For blocked tear ducts and all other manner of pediatric eye concerns, reach out to our office to schedule an appointment with our children’s optometrist in Hershey. Gentle care and skilled diagnosis and treatment are our highest priorities.